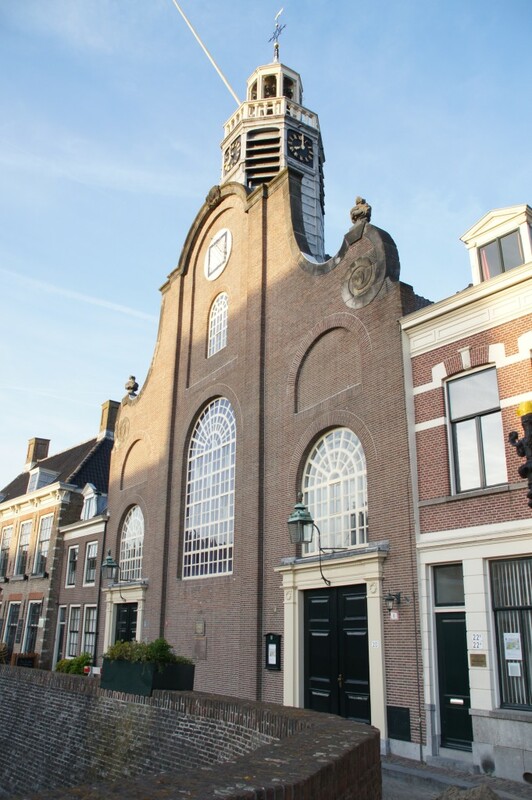 In the middle of the picturesque historical neighbourhood of Delfshaven, on the street called Aelbrechtskolk, you will find the Pilgrimfathers' Church. During the Second World War this part of the city was largely left unharmed by the bombing that destroyed most of the centre of Rotterdam. A historically valuable part of Rotterdam has thus been preserved. 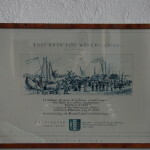 On this page you will find the history of Delfshaven, the Pilgrimfathers’ Church building, as well as information about the Protestant Church in the Netherlands congregation that uses it, and, of course, all you need to know about the Pilgrim Fathers. 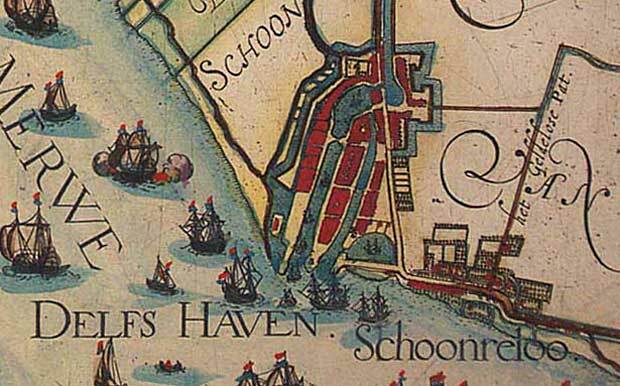 Delfshaven, now a neighbourhood just outside the centre of Rotterdam, originally was ideed, literally, Delft’s harbour. At the end of the 19th century it became part of the ever-growing city of Rotterdam, as the little village was engulfed by the big city. 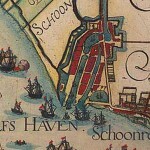 Delfshaven now covers a larger area than it did historically, giving its name to the large 20th century developments that border it. The church started out as a Roman Catholic place of worship, the Anthoniuskapel, (St Anthony Chapel) which was built in 1417. 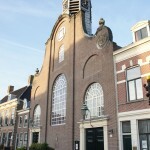 Since 1574, after the Reformation, it has been in use as a protestant church. 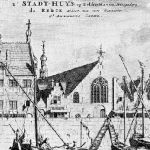 To this very day it is home to a congregation of the Protestant Church in The Netherlands, the Hervormde Gemeente Delfshaven. 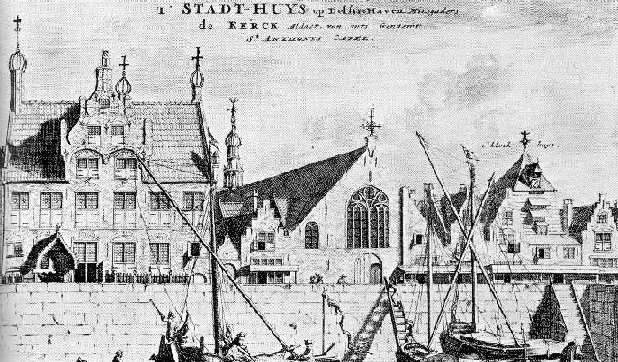 The members of this church see it as their calling to live according to their Christian identity in today’s world, just as historic Delfshaven and the big modern city go hand in hand. 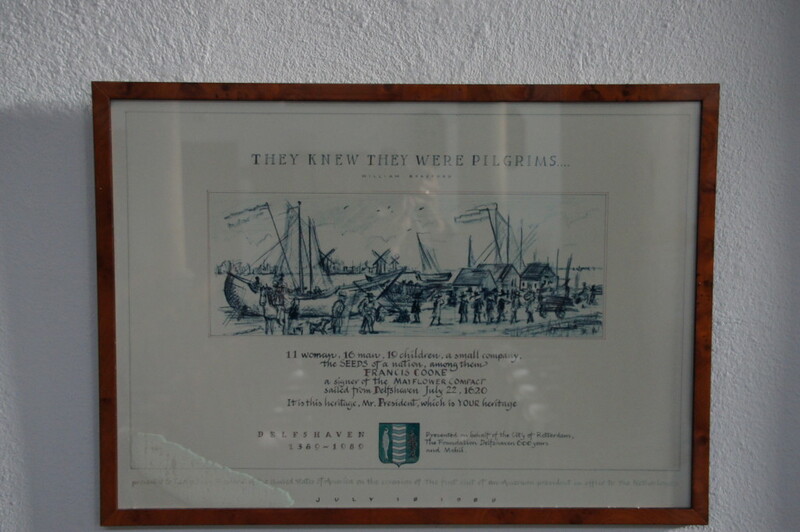 Delfshaven’s Old Church is also known as the Pilgrimfathers’ Church, a name referring to the Pilgrim Fathers, a community of English Christians. 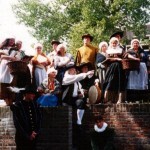 Having fled from England in the early 17th century as they were persecuted for their faith and because they felt too limited in the way they could practise their religion, they settled first in Amsterdam, then Leyden. 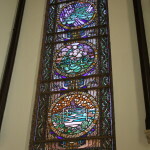 After some years they decided to move to the “New World” hoping to be able to establish a permanent community there where they could live according their faith. 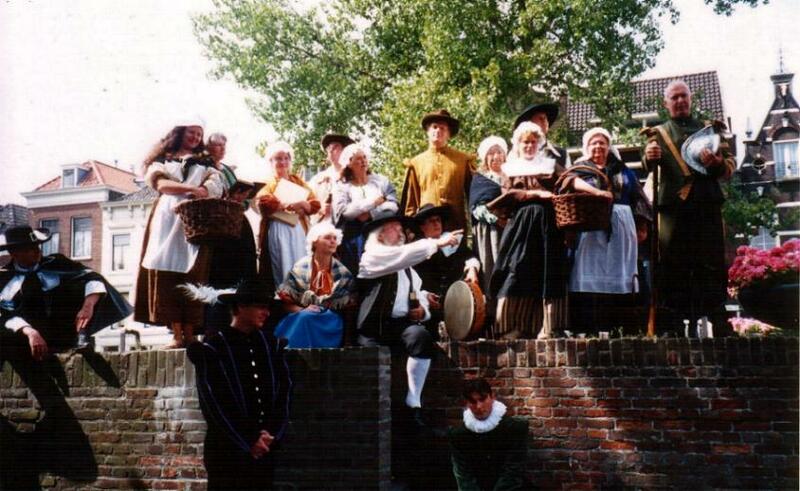 They took sail from Delfshaven, near the church, and boarded the 'Speedwell' to start their adventure. At Southampton, in England, they joined others of their group who had stayed in England, and made the dangerous crossing to Cape Cod on the 'Mayflower'. These Pilgrims are acknowledged as co-founders of the United States of America, and their Harvest Thanksgiving Service for the first crops of their new country was the beginning of the great annual American holiday known as Thanksgiving Day. 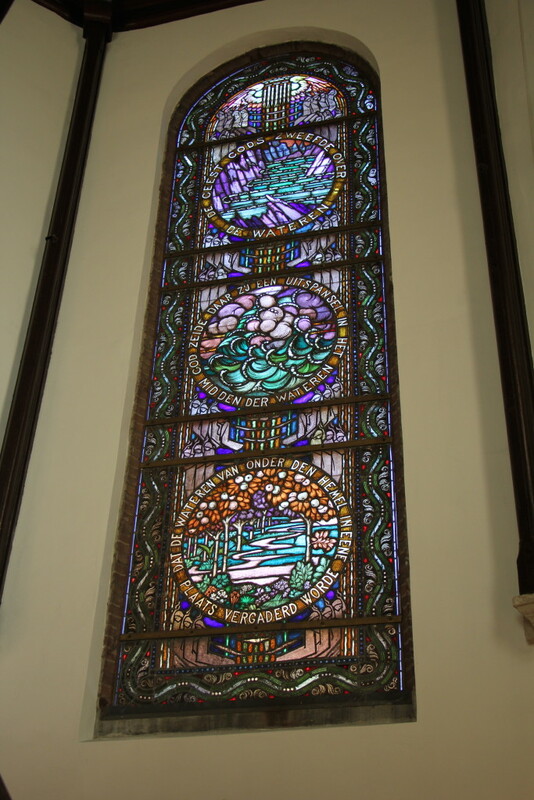 You will find several objects and artifacts pertaining to this in the church, such as the large leaded window depicting the Speedwell.